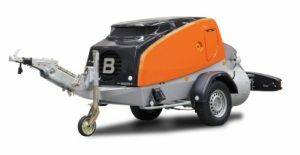 The Estrich Boy EC 450 pneumatic conveyors are among the most modern and popular of screed pumps on the market. 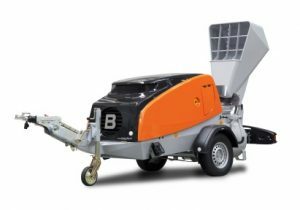 45 years of continuous further development, a variety of configuration options, excellent performance, as well as maximum user-friendliness – this is immediately noticeable with our Estrich Boy. All this with the aim of facilitating work on the construction site. The EC 450 with electric motor offers advantages, in particular for the urban environment. The silent electric motor has no emissions itself and makes the Estrich Boy one of the most environment-friendly screed conveyors in Europe. The simple, reasonable “refuelling” (i.e. charging) at the socket also lowers operating costs by up to 30% compared to a diesel-operated machine. The EC 450 with electric motor offers advantages, in particular for the urban environment. 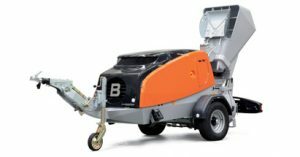 The silent electric motor has no emissions itself and makes the Estrich Boy one of the most environment-friendly screed conveyors in Europe. The simple, reasonable “refuelling” (i.e. charging) at the socket also lowers operating costs by up to 30% compared to a diesel-operated machine. In conjunction with a hydraulic feeder, efficient work with a high pouring rate is guaranteed. The EC 450 with electric motor offers advantages, in particular for the urban environment. The silent electric motor has no emissions itself and makes the Estrich Boy one of the most environment-friendly screed conveyors in Europe. The simple, reasonable “refuelling” (i.e. 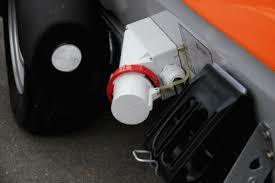 charging) at the socket also lowers operating costs by up to 30% compared to a diesel-operated machine. In conjunction with a hydraulic feeder and scraper, efficient work with a high pouring rate is guaranteed.